Here we are, 4 weeks into the fourth season of RGL and the top six teams are starting to take shape. We’ve had a number of teams climb far above their starting positions thus far, and a big showdown tonight will leave only one undefeated team left! Led by new NA Pug Runner Commander, Command and Conquer has steadily climbed to the top of the ranks. After participating in the first RGL One Day Cup, the team was inactive until being reformed by Commander to play in this season; however, that lack of recent activity doesn’t seem to be slowing them down. CaC has shown great coordination and dominant play, winning multiple shut-outs this season. With just under double the frags of their opponents on Steel, CaC captured all 5 points in almost 7 minutes exactly. 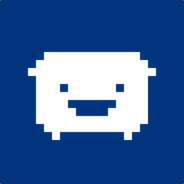 Despite his long-time involvement with RGL, this is only the second RGL team Piggies has played with. After picking up just a few players from his previous team, the Burning Flames, Q!K began recruiting some RGL regulars and new-comers. Last week, Chu had an average of nearly 1100 heals per minute. The majority of those heals were delivered to Sloncher and N1ck . That was a smart move, as both have really stepped up with some impressive stats on the season, as N!ck had 27% of the total kills for Q!K across the past two matches. With 4 team leaders and a full roster of 12 people, The Chromie Homies have been slowly but surely climbing their way up the ranks. A clean win against Cheg was followed by a close loss against Q!K. In their most recent match against Icy’s McSpicy Esports, the first two rounds lasted under 15 minutes, but the final round dragged on nearly 25. In the end, the Chromies outlasted their opponents and took the win, ending the game with almost 40 kills more than their opponents and moving up to third in the ladder. Specty used a combination of Kritzkrieg and Medigun to boost Micahlele to a 3.0 K/D while approaching almost 1100 heals per minute during their second round! Returning after being inactive since Season 2, Sidular brought a few of the original members of Envision Crew forward to compete once again. Starting out in seventh place in the pre-season rankings, a Bye Week and a win against the Gardevoir Gang propelled Envision Crew to a comfortable fourth place spot. Unfortunately, a bad choice in player name made the Crew one of only 2 teams so far to receive a penalty. While this doesn’t end their season, they have to be careful as future penalties could move them back down the ranks. Initially forming during the second NA One Day Cup, Midheaven brought most of their roster forward for this season. Despite missing the first week, they’ve managed to win both of their matches and jump to a respectable fifth place. Last week, Skorp and Stuperfox received nearly three quarters of the healing provided by Mr.Alex101. Midheaven also set a blistering pace of 5:38 to capture all 5 points in the final round against DoomHammer. This week, they’ll face the up-and-coming TF2 Newbie Cup Admins. After a rough first game against Icy’s McSpicy eSports, the egirls have been steadily climbing upwards from their initial rank of 10 before the start of the season. A 3-0 against DoomHammer and a 2-1 against the TF2 Newbie Cup Admins puts them just inside the top half of the active teams for Div-2. In their match on Steel, the egirls won the first round with a time of 4:59 by foregoing the fourth point in favor of capping E; the Newbie Cup Admins regrouped after the first round and finished in 3:35 by capping just points A and E, sending the two teams to a final game which egirls won by setting a time of 6:49 and skipping the D point. 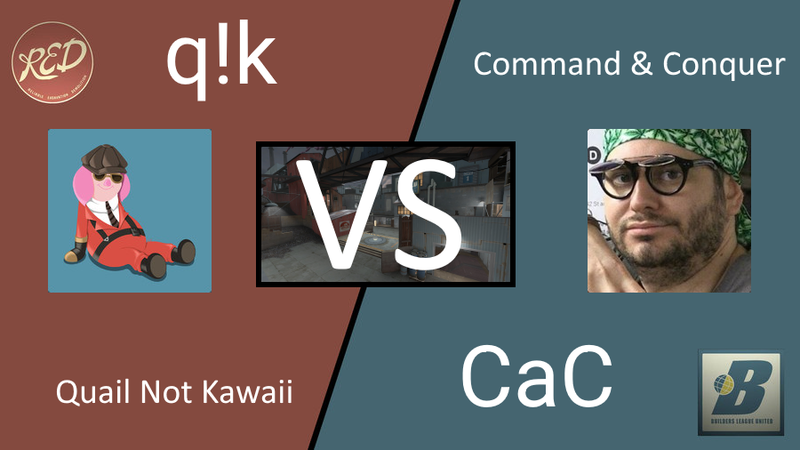 One of the biggest matches of tonight will be the showdown between the top two teams of Div-2, Commander and Conquer and Quail Not Kawaii. The match between the Chromie Homies and the Envision Crew is also an important one to watch, since a win for either team could move them up enough to have a rematch against one of the top two.